PT Samudera Indonesia Tbk (SMDR) has just added vessel to its fleets. Friday (9/3) located at Keppel Terminal, Singapore the inauguration of the new vessel named Sinar Penida was held. This container carrier has 609 TEUs capacity. Located at Keppel Terminal, PSA Singapore, Samudera Indonesia held welcoming ceremony of Sinar Palopo on February 12, 2018. 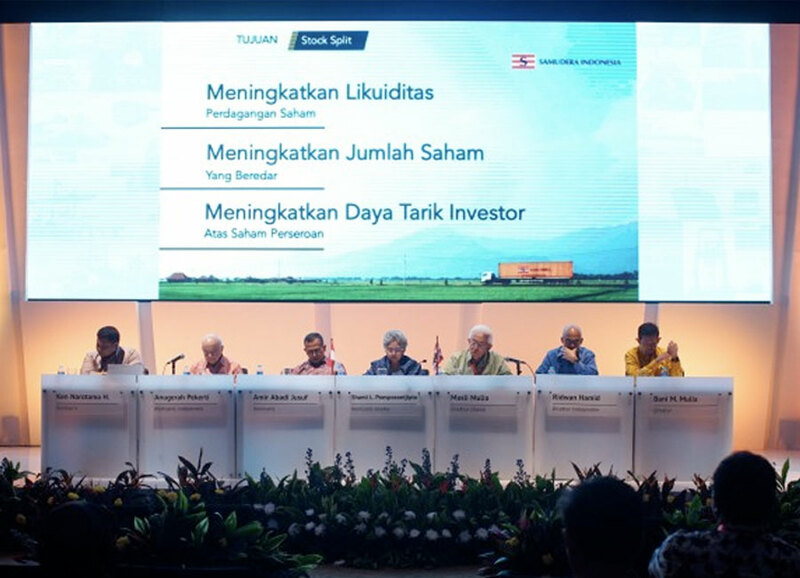 Board of Directors hereby announces to the shareholders that the Company conducted Annual General Meeting of Shareholders (AGMS) for Financial Year of 2016 on May 24, 2017 at Soehana Hall, Jakarta. 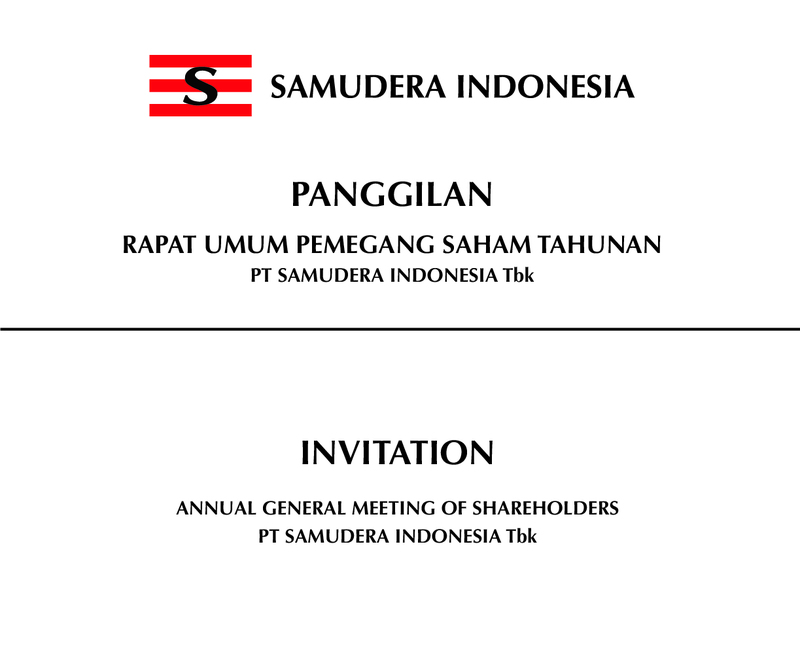 The Board of Directors are pleased to invite the shareholders to attend Annual General Meeting of Shareholders for the financial year of 2016 which will be held on on Wednesday, May 24, 2017 at Soehanna Hall, The Energy Building, SCBD Lot 11 A, Jl. Jend Sudirman Kav. 52-53, Jakarta Selatan 12190.